Between weddings and vacations, summer is the season of travel. We’ve covered our foolproof packing list and editor-approved suitcases, so now we’re turning our attention to the best airport looks courtesy of our favourite celebrities. Below, we’re naming the top ten ladies who consistently kill it in the travel style department—from Miranda Kerr’s signature ladylike outfits to Rihanna’s comfortable hip-hop-inspired look. On Huntington-Whiteley: Saint Laurent Leather Biker Jacket ($4990); Saint Laurent shirt; Paige Denim Verdugo Crop Skinny Jeans ($158) in Black; Givenchy Lucrezia Mini Leather Bowling Bag ($2250); Saint Laurent shoes; Ray-Ban Classic Wayfarer Polarised Sunglasses ($200). 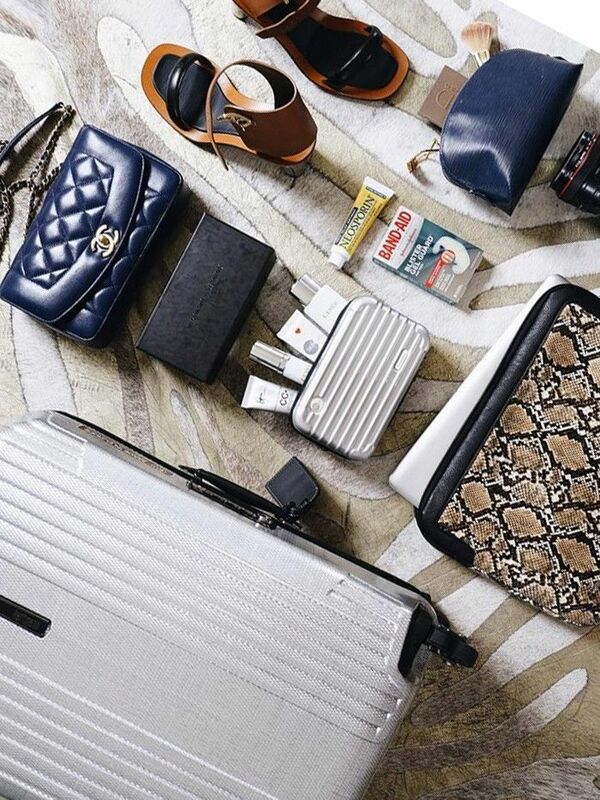 What's the one item you can't get on an aeroplane without? Headphones? Scarf? Let us know in the comments below!